hd00:18Aerial footage Harvester. Harvesting of wheat in Siberia. Russia. 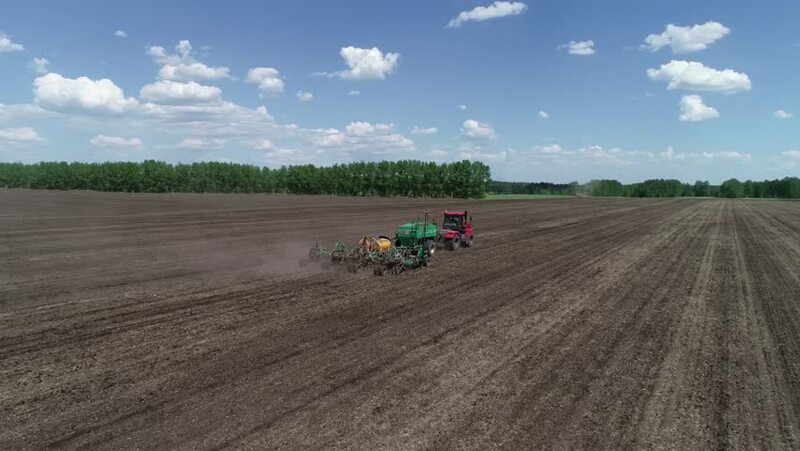 4k00:18Aerial shot of a farmer seeding, sowing crops at field. Sowing is the process of planting seeds in the ground as part of the early spring time agricultural activities.